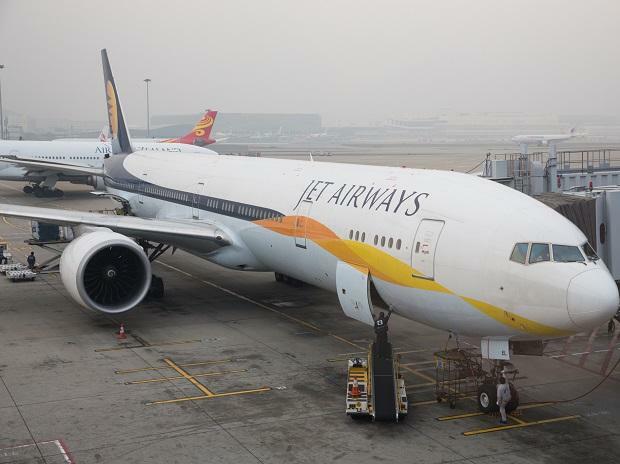 Abu Dhabi-based Etihad Airways has submitted an expression of interest (EoI) to buy a stake in Jet Airways within weeks of wanting to exit the venture completely. Etihad holds a 24 per cent stake in the Naresh Goyal-founded airline, which is left with just 14 planes and minuscule flights. Struggling with a mounting debt of more than Rs 8,500 crore, Jet on Thursday cancelled all international operations along with several domestic flights. While the airline said the cancellations were for a day, indications are that the flights may remain grounded unless there’s an emergency fund infusion. Sources said Goyal, who was forced to step down as chairman of Jet Airways recently, may submit an EoI to regain control of the airline he had started more than 25 years ago. Jet Airways lenders, led by State Bank of India (SBI), had invited EoIs from potential bidders for buying a controlling stake of up to 75 per cent in the troubled airline. “Goyal is keen to submit an EoI, but is yet to take a final decision. If he does, he will submit alone and not in a partnership,” said an airline source familiar with the development. More importantly, Etihad and Goyal are unlikely to come together again for a joint venture. The deadline for submitting EoIs is Friday. A senior executive of a public sector bank said the country’s first sovereign wealth fund National Infrastructure Investment Fund (NIIF), as well as private equity firms TPG Capital and Indigo Partners, had expressed an interest in buying a stake in Jet. He said all the EoIs have been submitted as individual entities. However, bidders can form a consortium for submitting a binding bid, the last date for which is April 30. Talks are on between Etihad, NIIF and TPG Capital to form a consortium for submitting a binding bid, sources said. While Goyal may not have the funds required to qualify for the pre-bid process, the EoI guidelines allow those with minimum three years experience in civil aviation to participate. The qualification criteria require strategic investors to have minimum net worth of Rs 1,000 crore in the preceding financial year. Goyal, who has pledged 41.1 per cent of his 51 per cent stake in the airline, has been in touch with potential investors including some sovereign wealth funds, it is learnt. Meanwhile, the Jet Airways board met on Thursday to take stock of the situation. With lessors pulling out planes and other vendors cutting off support, the airline is operating a skeletal schedule. Jet was expecting emergency funding of at least Rs 1,500 crore to be released by the lenders to meet its operational requirements after Goyal pledged his shares. But that hasn’t happened so far. "Goyal has accepted all the conditions laid down by the banks but funding has not come yet," the source quoted above said. Indicating the plight of the airline, a senior executive from Indian Oil said the oil marketing firm has put Jet Airways on cash and carry basis. He, however, confirmed that the airline doesn’t have any past dues with the oil firm as it had already submitted a bank guarantee at the beginning of the financial year. “As Jet’s operations have shrunk significantly, the original bank guarantee will suffice for the dues unlike Kingfisher which had a huge liability. But, supply stops whenever payment is not made and it’s resumed as soon as payment is done,” he said, explaining why the airline’s fuel supply was cut three times in the last four days.